Mats Hummels' first-half header proved enough as Germany beat France 1-0 in their World Cup quarter-final in Rio. Hummels, returning to the side after illness, nodded home a Toni Kroos free-kick in the 12th minute at the Maracana on Friday and that ultimately proved enough to book a semi-final date against hosts Brazil in Belo Horizonte next Tuesday. France, beaten by Germany at this stage in 1982 - when Harald Schumacher infamously took out Patrick Battiston - and 1986, mounted several late attacks but lacked urgency overall, and could have no real complaints about the outcome of what was a disappointing duel between two European heavyweights. Didier Deschamps made two changes to the side that began the 2-0 round-of-16 win over Nigeria. Mamadou Sakho replaced Laurent Koscielny at the back, while Antoine Griezmann was preferred to Olivier Giroud on the left side of the attack. Germany needed extra-time to get past Algeria 2-1 on Monday, and coach Joachim Low's starting line-up showed three changes from that game. Centre-back Hummels was preferred to Per Mertesacker, while veteran striker Miroslav Klose replaced Mario Gotze in the forward line. Shkodran Mustafi's tournament was ended by injury in Porto Alegre, so Philipp Lahm slotted in at right-back and Sami Khedira returned to take a central midfield berth. After volleying an early half-chance wide of the post, Karim Benzema was looking to get onto a pass from Griezmann only for Hummels to come in and intercept. And when Paul Pogba fouled Kroos on the left touchline soon afterwards, the same Germany player sent in a free-kick which Hummels met with a header in front of Raphael Varane, directing the ball past Hugo Lloris and skimming in off the underside of the crossbar for the opening goal. 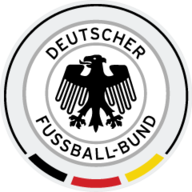 When Klose went down in the box in the 24th minute under a challenge from Mathieu Debuchy, it looked like Germany might be given a penalty - but Nestor Pitana turned down their appeals. TV replays showed Debuchy did have hold of Klose's shirt, but an over-dramatic fall by the striker did not impress the Argentinian referee. On 34 minutes, Manuel Neuer saved one-handed from Mathiueu Valbuena before Benzema's hooked effort went for a corner with Hummels in the way, and the France striker had penalty appeals of his own just before the break when he claimed Hummels had committed a handball appeal, but again Pitana was unmoved. Khedira was the first player booked when he brought down Griezmann on the halfway line eight minutes after the restart. Much of Germany's midfield play was untidy, and following one such episode Debuchy's cross was met by Varane with a decent header, but Neuer held it comfortably enough. 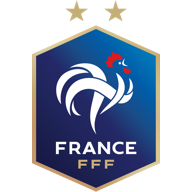 After Andre Schurrle replaced Klose, Deschamps threw on Koscielny and Loic Remy in place of Sakho and Yohan Cabaye respectively, but still France could not find an equaliser. At the other end, Thomas Muller skimmed a shot just past the post, Schurrle sent a low drive straight at Lloris, then Mesut Ozil and Muller combined before France smuggled the ball away. Hummels had to make a brave block to prevent Benzema getting a clear shot on goal after the Real Madrid star had turned Lahm in the area. Then Blaise Matuidi's shot from a tight angle was turned away by Neuer. A quick break by Germany ended in a couple of terrible misses. Ozil put one on a plate for Muller but he completely missed his kick before Schurrle shot weakly straight at Lloris. After Gotze had come on for Ozil, Deschamps made his final throw of the dice as Giroud was brought on in place of Valbuena. In the 87th minute, Germany were given a great chance on the break but Schurrle wasted the opportunity after being found by Muller. In the final minute of stoppage time, Benzema's shot from the left side of the area was punched away one handed from under the crossbar by Neuer as Germany prevailed to reach a record fourth successive World Cup semi-final.